Nuff respect High Station Soundsystem! On Saturday the 22nd of July 2017, we will be showcasing the works of our label on one of the leading soundsystems in Cyprus, celebrating our 4th birthday with friends, artists and fans. Everybody is welcome to join the dance. 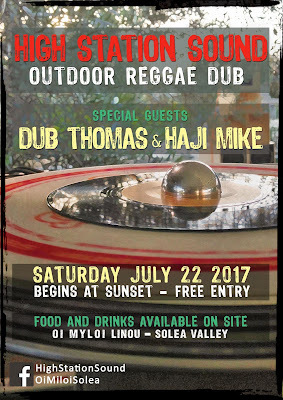 Dub Thomas and Haji Mike will meet High Station Sound in an 8-hour session, starting up at sunset and going through the late hours. 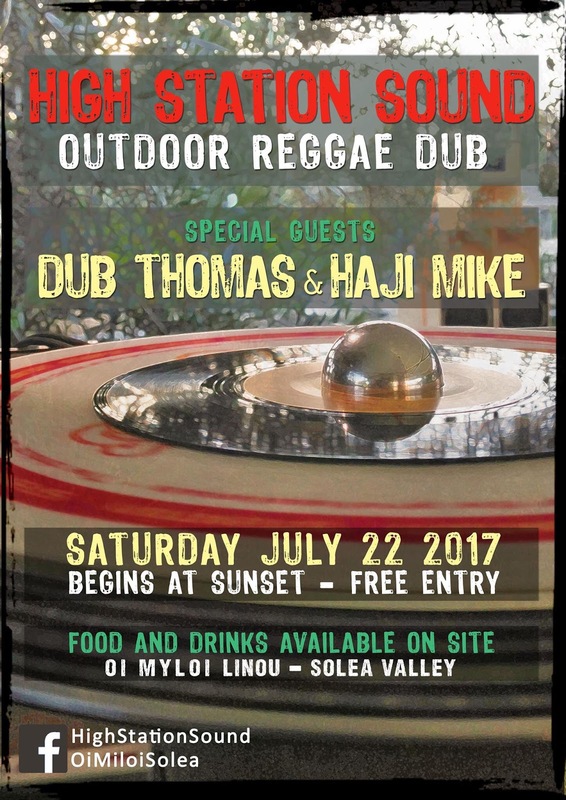 Exploring the sound of dub music, we will take you on a musical journey, with Roots Reggae as a starting point, traveling through the various aspects of Dub music. We hope that you can drop by .... we will be very honored to share this special occasion with you. Expect to listen some unreleased tunes from the label as well as special cuts and dubplates for the first time. This is an outdoor event straight outta our yard. Food and drinks available on site. Free entrance for everybody! Click here for more information!